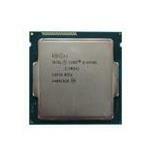 Intel Core i5 Desktop Processor offers efficient processing for high-quality games and software. 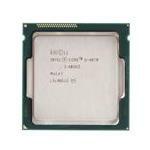 Whether you are buying a CPU for home or office, the Intel core i5 4th generation processor is known for handling massive workload easily. The price range of this processor falls in the middle bracket, suitable for gamers, editors, and even home users. The 4-core architecture of Core i5 comes with 4-threads that allow better processing. Even if you are not a fan of HD games, these processors can get you through the next couple of years easily in line with emerging requirements. At times when RAM increment is not the solution to your PC performance, you need to get a faster CPU. 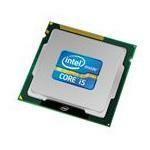 Intel Core i5 is your ideal choice! Get Intel processors for business, home and entertainment. The built-in GPU of 4th Generation Intel Core i5 allows faster performance and better ROI in terms of productivity and value. Browse through Memory4less.com and order your perfect desktop companion today. Avail free ground shipping and exceptional customer service.